Upgrade your sales and marketing processes for the digital, customer-driven era. In the digital age, customer engagement has taken on a new importance. 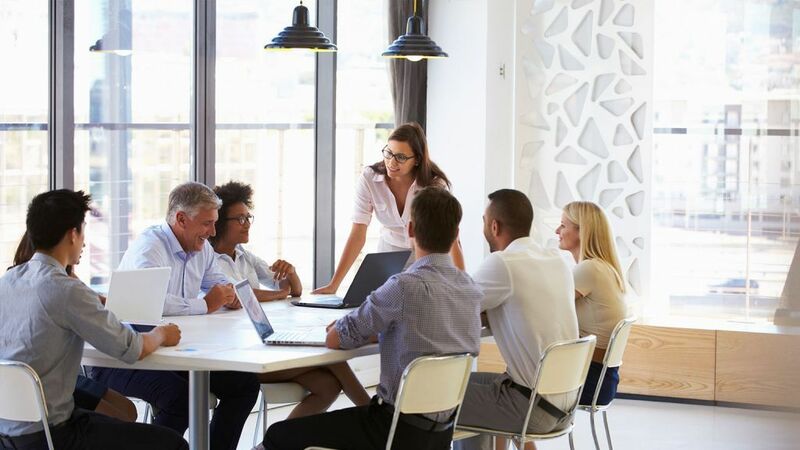 Close collaboration between sales and marketing is crucial; professionals from both teams should support each other even as they accompany the customer throughout his or her journey. Marketers and salespeople must be able to communicate with interested parties via any channel, providing a consistent, tailored service. They also have to be equipped to answer queries, dispel doubts, and explain why their offering is the perfect fit. When it comes to facing the challenges of modern-day sales, clever tools for marketing analysis and campaign management can prove invaluable. Excellent sales experiences motivate 81% of clients to buy from a vendor again. Benefit from our vast experience in tried-and-true CRM projects as well as future-oriented SAP Hybris transformation projects. With over 50 SAP Hybris implementations across a range of organizations and industries, and over 250 SAP Hybris consultants, we help our customers around the globe achieve sustained business growth. And due to our close relationship with SAP, we are involved in the development of new solutions from the outset. Moreover, our experts are present in 24 countries, meaning that you can rely on our expertise and round-the-clock support wherever you are. Are You Facing Business Challenges in Sales and Marketing? Engage with customers on all channels and allow them to make purchases anywhere, at any time. 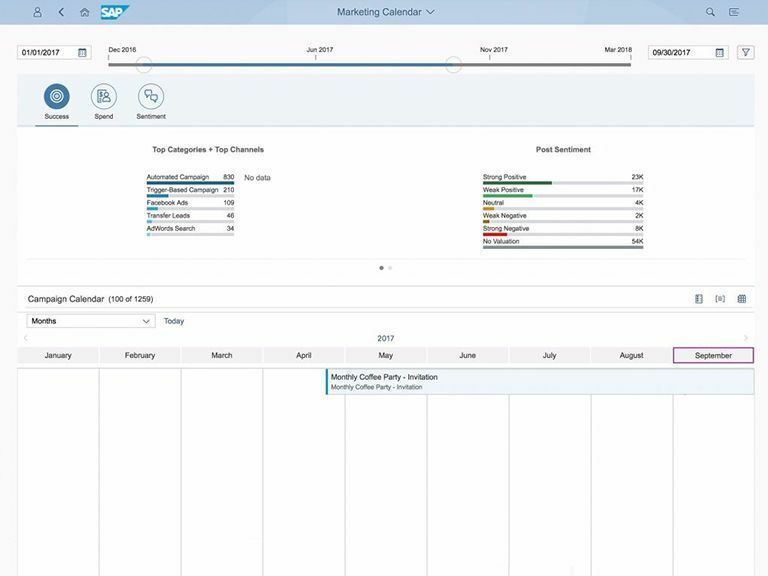 Benefit from the SAP Customer Engagement and Commerce (CEC) portfolio to respond more quickly and effectively to customers and opportunities. Our tailored CRM, marketing, and commerce solutions give your employees the tools they need to follow up on prospects and close deals. Take advantage of new channels to generate leads and build your brand. Interact with customers on their terms; whether they call your team or visit your online shop, make sure their experience is pleasant and consistent. This not only increases the likelihood of a sale, it also promotes customer loyalty. Use detailed information on customer behavior to provide a unique sales experience, boosting the chances of a sale and encouraging loyalty. 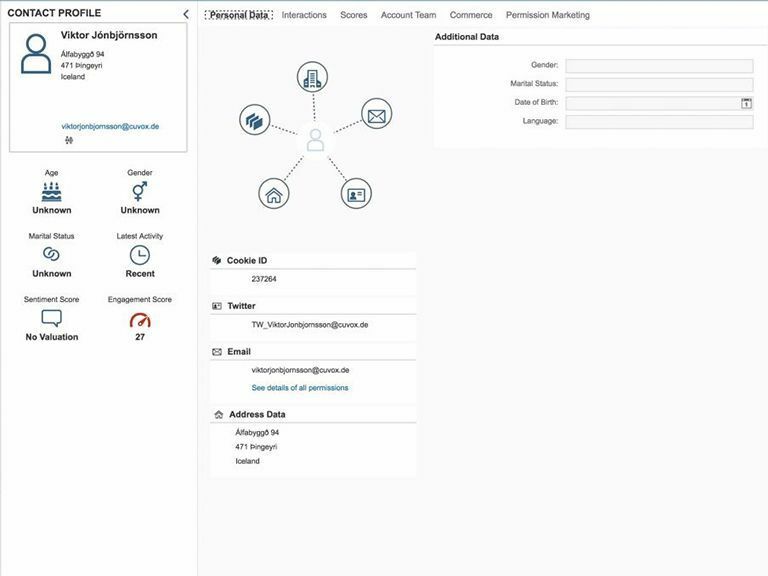 Gain a central view of customer profiles: Learn which customers have engaged with your sales team, which events they have attended, and which campaigns they have reacted to most positively. With this information, you provide a tailored experience across sales and marketing. This not only increases the chances of closing deals, but also promotes loyalty and helps foster strong, long-term customer relationships. Identify the most profitable leads, and ensure salespeople have the information they need at hand to make convincing sales pitches. Just like marketing, sales can benefit from automation, too. Our advanced Cloud CRM solution gives your sales team all the information they need as and when they need it – on any device, wherever they are. This means they can spend more time selling and less on research and admin. It also enables them to make effective pitches based on a deeper knowledge of the customer, increasing the likelihood of a quick sale. Access live, reliable data on customer behavior and preferences – whether you are in the office or on the move. 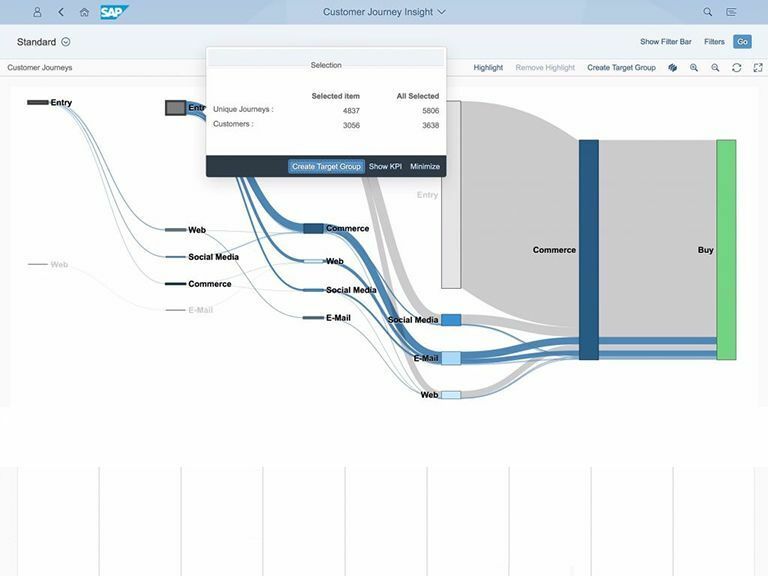 Our powerful SAP Hybris solutions provide a single source of truth, allowing you to gain quick, valuable, and reliable insights into market trends and customer behavior. Whether they are working in the office or on the go, using a desktop computer or a mobile device, your employees have access to real-time information to help them close deals. Create campaigns to reach potential customers across all channels with personalized content to improve success rate. Our software for campaign creation allows you to reach potential buyers across a variety of channels. With tailored content, you increase your chances of turning a prospect into a loyal customer. Meanwhile, the marketing calendar provides a 360° view of campaigns, with analytics detailing their effectiveness. Save time, money, and effort by automating a range of processes – from creating marketing campaigns to managing leads. Leverage automation functions to cut costs and boost efficiency. Develop effective marketing campaigns from the ground up with minimal manual effort. Set up automatic, personalized reminder emails to prompt potential buyers who have not yet completed their purchase. Automate the process of transferring leads from marketing to sales, reducing the time it takes to close a deal. With access to a wider variety of online shopping channels, today’s customers are more empowered than ever before. Companies must interact at multiple touch points and provide a shopping experience that is unique to the individual. Eliminate data silos and fragmented customer information in different systems such as ERP, CRM, and social media. 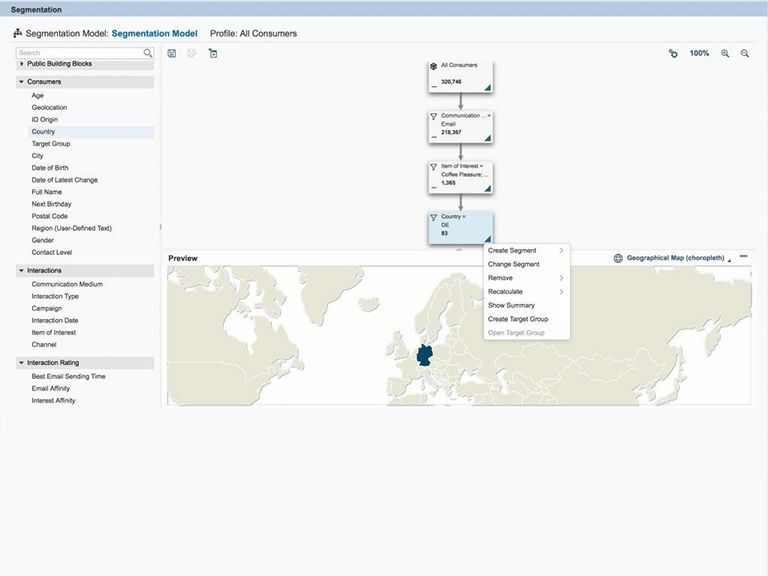 Find out how you improve customer loyalty and gain strategic advantages with the SAP Cloud. Get all sales methodologies in one single solution – easy to use, cost effective, and cooperative. 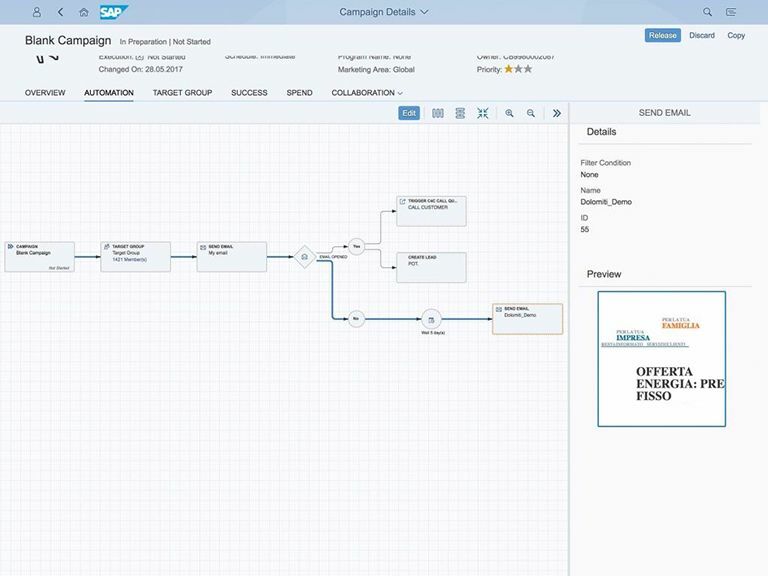 With S/4HANA, the automotive industry gains access to real-time actionable insights leading to optimized performance and personalized offerings. Leverage a digital health sciences network and insight-driven system to enable seamless collaboration, providing quality patient-centric care. Are you searching for answers or would like to receive more information on Sales and Marketing? Do you want more detailed advice from our expert or wish to book one of our Sales and Marketing workshops?